When it comes to gutters, seamless is always better. Thankfully, that’s the only type of gutter we install at Elite Exteriors in Omaha, Nebraska. Our seamless gutters will effectively channel water away from your home and provide enhanced protection against moisture issues that can damage your foundation over time. While other contractors might tack pre-cut gutter sections onto your roofline, Elite Exteriors offers a truly custom product. Our highly experienced installers will manufacture gutters according to the exact specifications of your home on our own machine, creating a seamless product crafted to address your house’s water drainage needs. This seamless engineering also makes our gutter systems more structurally sound, and better able to protect against leaks that commonly plague sectional gutter systems. Our seamless gutters are available in 5- or 6-inch variations and in more than 20 colors, so we’re confident you can find a gutter system that will adequately handle moisture and blend in with your home’s exterior smoothly. Along with seamless gutters, we offer multiple types of gutter protection to prevent clogs and spare you from gutter-cleaning duty for years to come. Our gutter protection products are attached to the face of the gutter rather than underneath the roof shingles, providing a more subtle appearance and additional strength while also preventing moisture from getting under the shingles. If you’d like to learn more about our seamless gutters and what makes our company the best choice for your home improvement project, contact Elite Exteriors to schedule a complimentary in-home consultation. You can also stop by our spacious Omaha, NE, showroom to view all our products. 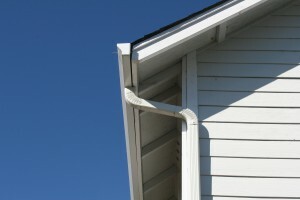 Let Us Help With Your Next Gutter Project!